Our tasting room in Carlton is a direct extension of the winery itself. Warm, welcoming and a refreshing change from the pinot-centric world of the Willamette Valley (which we love!) drop by our tasting room in Carlton, the heart of the Willamette Valley, and taste our exciting range of wines, not one of which is pinot noir or pinot gris! We know that the Applegate Valley is a bit far from Portland for many tourists so we decided to bring our wines to you. As exceptional as the Willamette Valley is for the pinots, the Applegate Valley is to the exciting varieties that come from southern France and Italy. You’ll find a visit to our Carlton tasting room more like dropping in to a fine wine bar. Our enthusiastic and knowledgable staff will guide you through our broad selection of natural, southern Oregon wines including vermentino, tannat, malbec, sangiovese and other exotic, interesting varieties that thrive in the unique climate of the Applegate Valley. Bring a picnic and enjoy our open air courtyard where you’ll often find live music on the weekends. Our Carlton Applegate Valley tasting salon is no mere outpost, but is a true extension of the winery as you’ll often find our winemaking team on-site to share our newest releases including our rarest, most allocated wines. 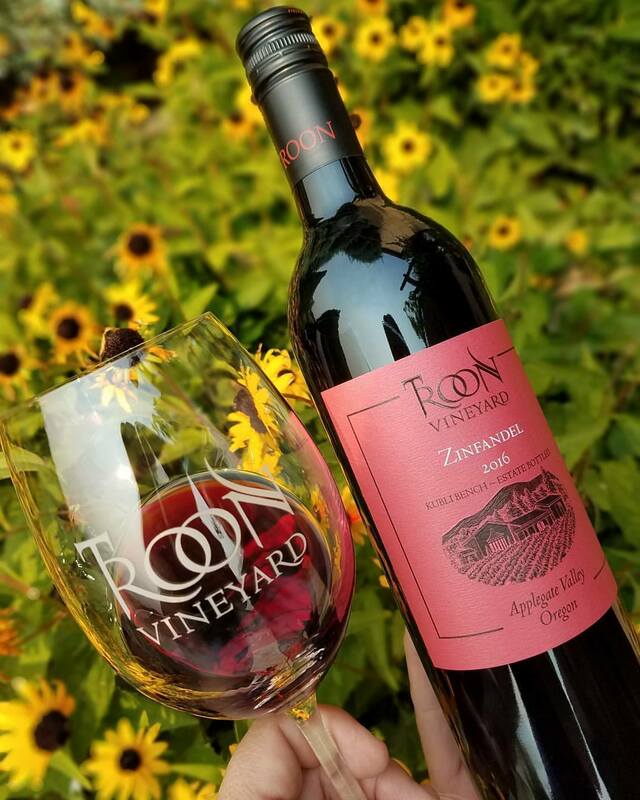 The Southern Oregon wines of Troon Vineyard are inspired by the wines of the Mediterranean coasts of Southern Europe. Place names like Madiran, Cahors, Bandol, Languedoc, Priorato, Campania and Sardegna have provided the varieties which shine in our vineyards high in the Siskiyou Mountains. Winemaking at Troon is straightforward. Our grapes are field sorted by the same vineyard crew that tended them all season. The hand-harvested grapes go into half-ton picking boxes where both the red and white grapes are treaded by foot. After extended skin contact the reds (or whites destined to become Orange wines) may be de-stemmed and go into one ton fermenters where they complete fermentation outside with no temperature controls with our natural, native yeasts. Only hand punch downs are used, no pump-overs. The whites are pressed into mature French Oak barrels where they complete fermentations, also with their natural yeasts. All wines are matured in three or more years old French Oak Burgundy barrels purchased from top producers in the Willamette Valley. There are no acids, sugar, enzymes or any additives added to any of the wines. Natural pHs are low hovering just above 3.5 for the reds and just under that for the whites, as evidenced by the crisp acidity in all of our wines. 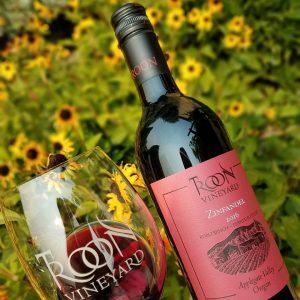 Alcohol levels for zinfandel, malbec and tannat will sometimes go just over 14%, while most of our wines are in the 12% to 13% range. Our vineyards are all LIVE and Salmon Safe certified and we are now beginning our quest to become biodynamic certified.